Google on its homepage @Google.co.in celebrated the 80th Anniversary of Alam Ara which was the First Indian Movie with Sound. Alam Ara (The Light of the World), directed by Ardeshir Irani, was the India’s first movie with sound or talkie that is debuted at the Majestic Cinema in Mumbai (then Bombay) on March 14, 1931. Here is the newspaper advertisement and movie poster for Alam Ara published in 1931. The lead roles in the movie were played by Master Vithal and Zubeida Begum Dhanrajgir who were famed as the first talkie actor and first talkie actress of India respectively. 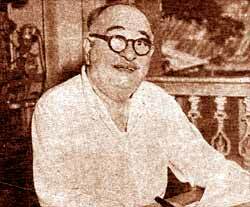 Inspired by the movie version of Jerome Kern’s Show Boat (1929) released by Universal Pictures, Alam Ara had a total of seven songs and the music is done by Ferozshah M. Mistri and B. Irani. It also features the hit song “De de khuda ke naam per” which happened to be the first song of the Indian cinema as well. But the most unfortunate news is, the film is no longer available in its original format as the fire at National Film Archive of India, Pune, in 2003, destroyed the last surviving prints of this classic by Ardeshir Irani.